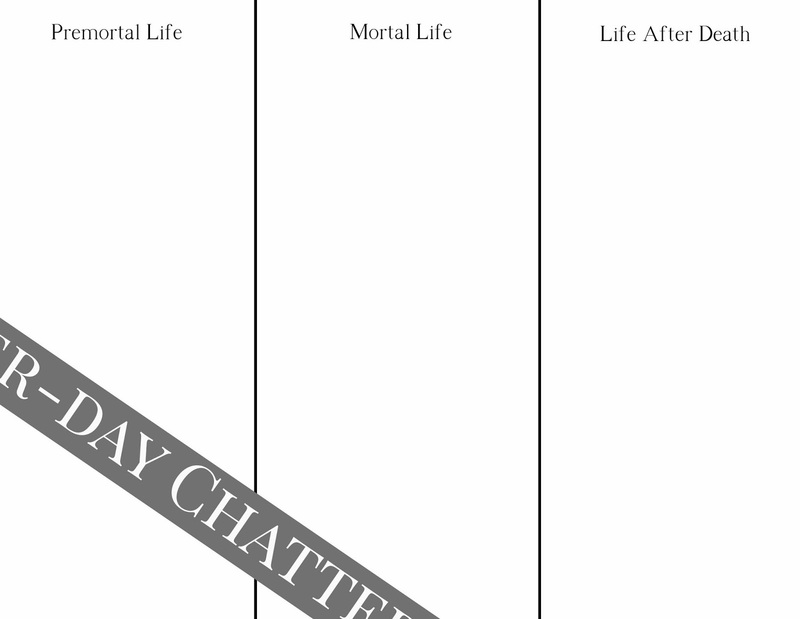 I love what is has in the outline, so I'm adding to it. 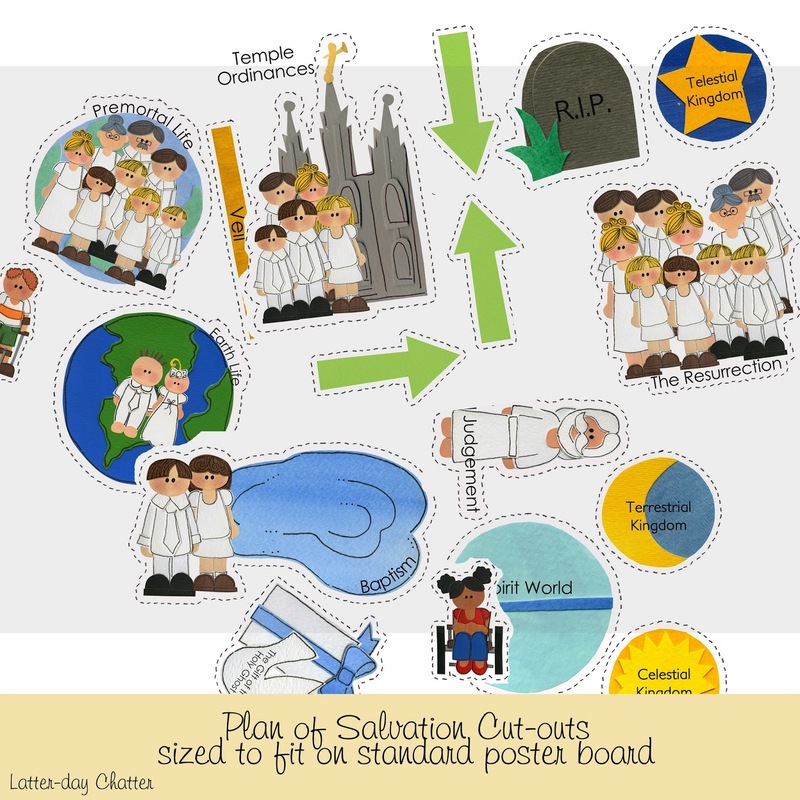 As you are talking about what goes on in each of the 3 sections you can have the different cut-outs to go along with it and put it onto the board. For example: Temple Ordinances, you could ask "where does this go?" Mortal life, but you could also touch on the fact that in the temple we perform ordinances for those that are dead so they can have the same blessings. Handicap children: Mortal life, we are each given trials in this life. Included with the cut-outs are cards that you can also you to go along with each "phase" that you talk about. And whip out those markers/crayons! I'm looking forward to seeing all the kids' drawings! I love it when ours gets time to draw the cutest things come out of those small moments. Below is a download to handout to each of the kids as instructed in the outline.